Bryan Dacey, Mobile Lender for Canberra Community Bank Group. New and existing customers of the Community Bank branches in Calwell, Curtin, Jerrabomberra and Wanniassa can now enjoy the services of their very own mobile lender, after the Canberra Community Bank Group head-hunted one of Canberra’s most experienced financiers to take on the role of Mobile Relationship Manager. 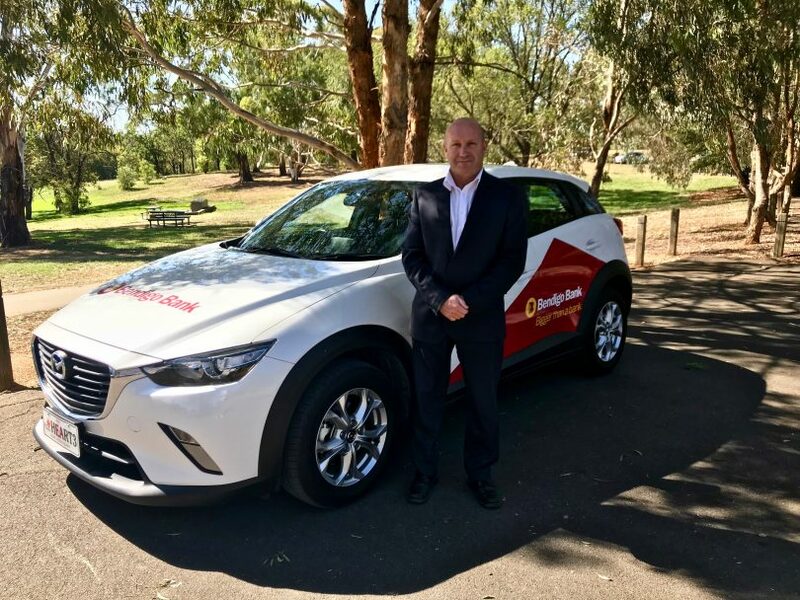 Bryan Dacey is the Group’s first mobile lender, and boasts 30 years’ experience in the finance industry, almost all of it here in Canberra. He has worked for a number of the Big 4 banks, and ran his own successful business as a Mortgage Broker, before deciding to join Community Bank Group. As a Mobile Relationship Manager, Bryan visits potential and existing Bendigo Community Bank customers in their homes or businesses, rather than requiring them to find the time to visit a branch. “I come for a chat, and to learn about what you want to achieve. I will bring any forms you’ll need along with me, and when we’re done I’ll go away and tailor a package specifically to meet your needs. Bryan says that for those thinking of buying a house this year, they may find Bendigo Bank’s Home Loan Calculator a fantastic tool. If you’re thinking of buying a home this year, Bryan says that it’s worth taking advantage of low-interest rates and utilising government incentives such as the First Home Owner Grant while it’s still in effect. To have Bryan visit you at your home or business, you can call him on 0435 532 740.